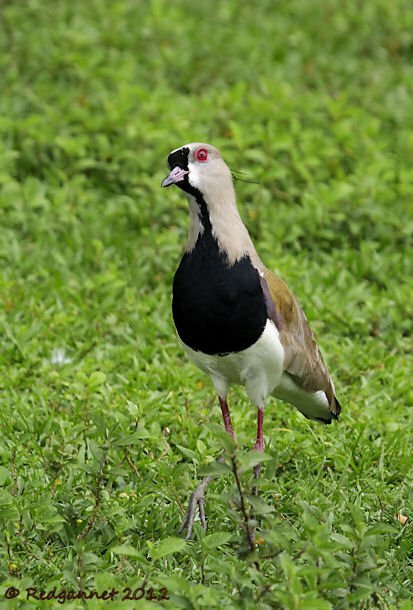 Primarily, Lapwings are an Old World family with over 20 species including Australasia’s Masked Lapwing, Asia’s Yellow-wattled Lapwing and the Red-wattled Lapwing of the Middle East. 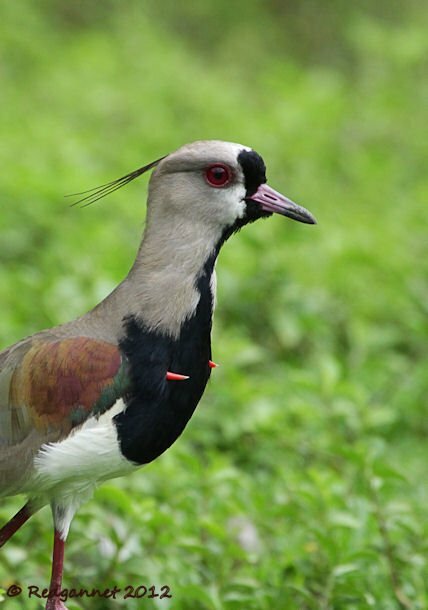 Africa is the spiritual home of the Vanellus family, boasting as many as 14 species including the abundant Crowned Lapwing. For such a huge area of land with great expanses of pasture, prairie and field, I find it odd that the Americas only host 2 species of Lapwing. 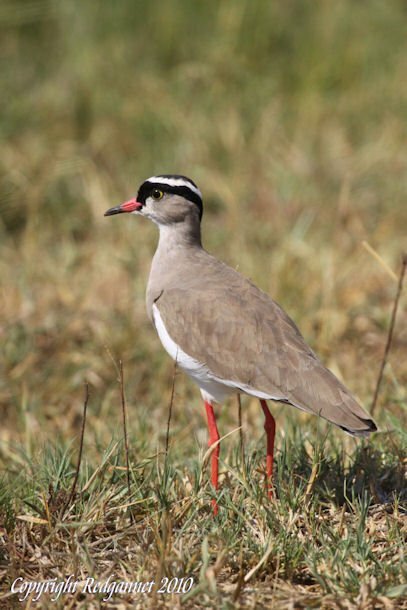 Lawns and short grass throughout the world are enhanced by this wonderful family and the pressure is on the Southern Lapwing to fulfil this role for most of the southern continent. 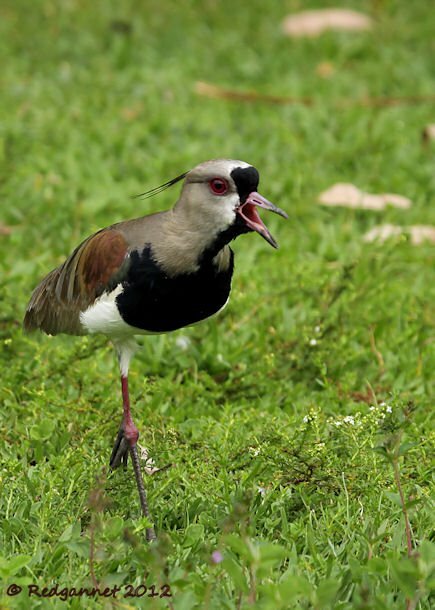 The only close relation is the Andean Lapwing which can be found along the mountain chain in short-grass meadows above 3000m. 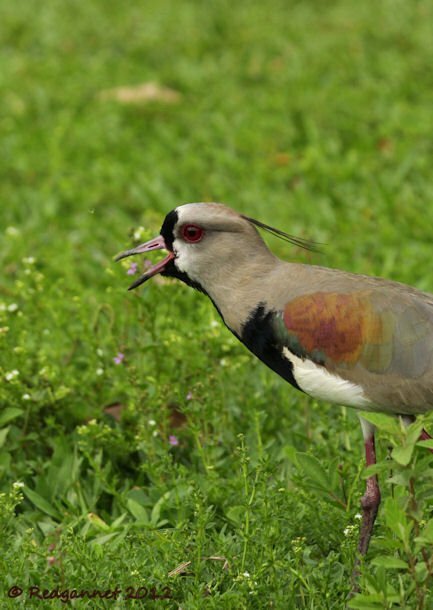 I ran across a couple of Southern Lapwings in Ibirapuera Park in Sao Paulo, Brazil recently and watched as they indulged in typical Vanellus behaviour. Anything posing a risk to their nests or young will be met by swift action with parent birds dive-bombing any potential threat and raising such a noise as to make the predator choose an easier option. A grounded flock of Black Vultures ducked as the lapwings buzzed close overhead trying to drive them off. When the vultures retreated to a reasonable distance, the lapwings came back down to Earth, but kept up a screaming display. The road took me past the vultures which flew as I approached. The lapwings however calmed down and did not seem to mind me walking close by. Then I saw the reason for their protective behaviour. A pair of chicks that appeared quite oblivious to their parents’ hysteria picked insects from the grass as if they didn’t have a care in the world. With such proactive parents, they probably don’t need to worry too much, but I was surprised that they came so close to me before the adults started clucking and calling them away. 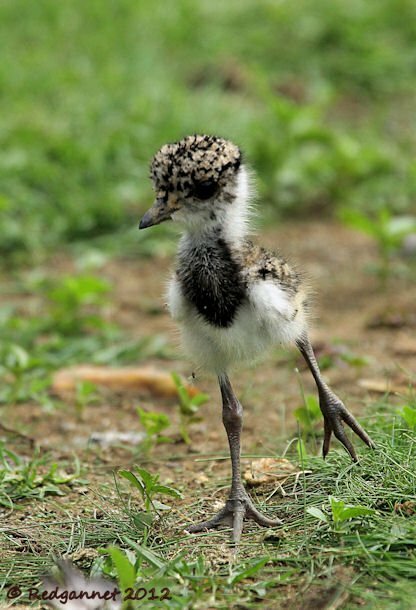 I have never quite got to the bottom of the spurs worn by Vanellus Lapwings. I have seen them on a few occasions, but often in different circumstances. They would make fine defensive weapons to intimidate a predator or a rival, but I have seen them drawn at times when the bird looks relaxed and holstered at times of stress or provocation. They are bony protuberances from the wrist of the wing, covered with a keratinous sheath. Occasionally, the top layer of keratin will be shed, revealing a shorter, sharper spur beneath. Cats sharpen their claws in an almost identical manner. 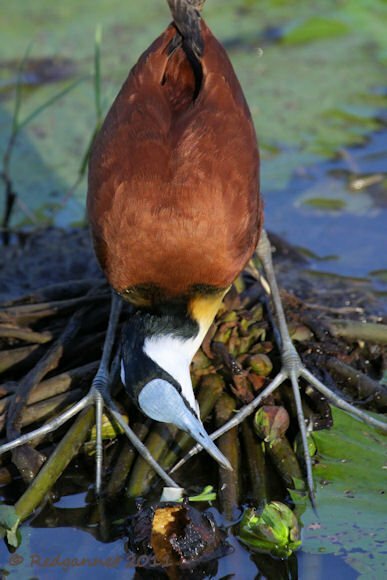 Other bird species such as Jacanas and some waterfowl such as the Spur-winged Goose, share the trait of wearing spurs. But back to the chicks. They were able to confidently stride about on the lawn in the certain knowledge that their parents were ever watchful and would protect them from the most frightening of dangers. 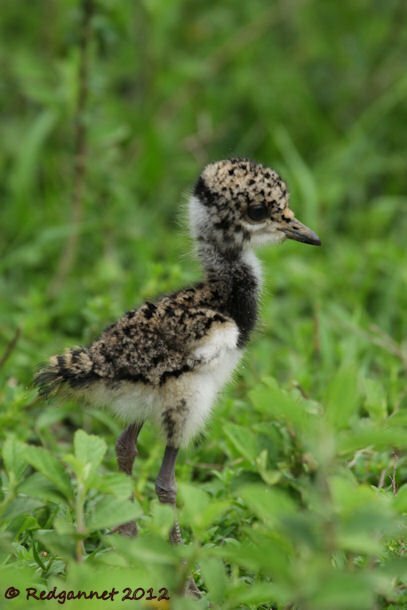 At the same time, the chicks were able to go as they pleased and the adults appeared content to allow them to roam quite a distance from their immediate protection. If only it were so easy for humans to strike such a well balanced policy. Oh…to be young and carefree! 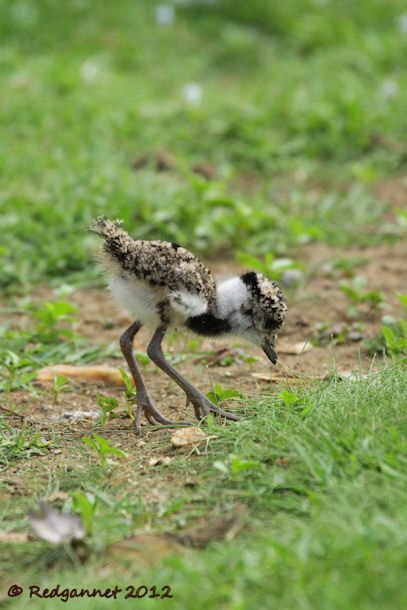 Lapwings appear to be very good at parenting…and vocal! 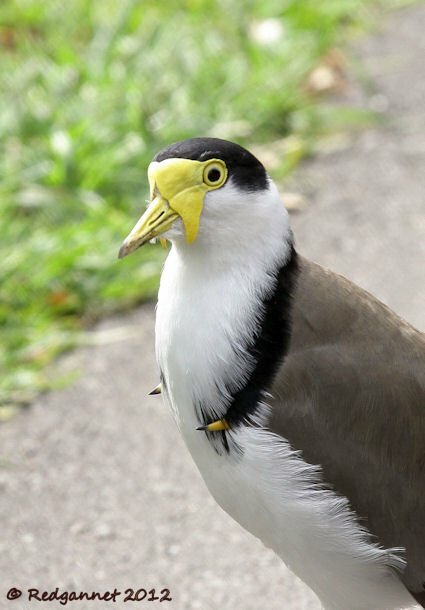 You can look here for Masked Lapwing chicks-how similar they all look! Hi, they’re so stunning. Very nice birds! Where Are You Birding This Final Weekend of August 2016?